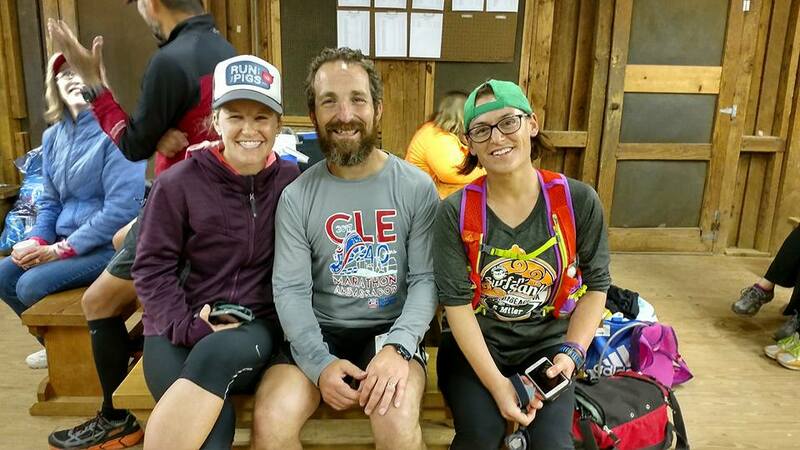 Jim Walmsley failed in his attempt at writing history at Western States 100, that is all on him. No one else is to blame…yet he succeed in my eyes. Compare Jim’s failure to that of other sports. It’s 4th and goal, the clock runs out as the running back dives into the line with a collision of power, speed, sweat and blood. Once the dust settles everyone learns he has come up short of the goal line. The result is his team loses the game and a spot in the playoffs. The bases are loaded, it’s a tie game in the bottom of the ninth inning. With deadly focus, the batter can see the spin of the ball as it comes off the fingertip of the opposing team’s ace pitcher. Recoiling with the force of a twisted steel spring the batter gives it everything he has to make contact and send the ball rocketing toward the fence. At the last second, the ball dives with a sharp hook as his bat misses its mark. The perfectly rolled putt on the 1st play-off hole at the US Open comes up inches short as it takes an unexpected turn. In these examples of sports failures, the athletes can walk away from the situation and blame teammates for not blocking better, reason that the pitcher had some wicked stuff or that the lie of the green miss-read the line of the putt. In endurance sports, there are no convenient scapegoats. Falling short in a race, missing a cutoff time or blowing up at mile 78 of a 100-mile race only means one thing. Your body gave out on you. As a veteran long-distance runner, I have a ton of confidence in my legs, my lungs and my ability to endure. When something goes wrong, when I can’t finish a race, when I can’t run at my ability and when my tank is empty and have nothing left to give it can be earth shattering. Unlike other main stream sports, failure in can be blamed on many contributing factors. For the runner, you must only look in the mirror. Losing confidence in yourself or your body can be a very frightening and disheartening experience. It’s happened to me twice. I was coming off a Personal Record in my favorite ultra-event, the Virginia 24 Hour Run Against Cancer. I had put up 75 miles, I was beginning to gain some local recognition as a decent ultra-runner and I was looking forward to a big summer. A few days removed from the race, at the end of a ten-mile run my right knee had a bit of a tingle. A few more runs and the tingle turned into pain. A trip to the doctor confirmed my worst fears, I was injured. My body had failed me. I lost more than miles over those six weeks I lost confidence in the very thing I had the most trust in, my ability to run. It wasn’t a missed blocking assignment or a pitcher with great control on his fast ball that had done me in, it was a very own body. Although it would take a few years it happened again. This time it was mental. All of my friends were running the race. I was in decent shape. 50 miles was well within my ability. I had just come off an epic bucket list run crossing the Grand Canyon rim to rim to rim. I knew I could finish this race, that was a given I had run it the year before. The outcome was never a question, until it was. I just did not want to be there. Just over one lap into the race, 12 miles down, I no longer wanted to run. It wasn’t that I was tied, and it wasn’t that I was out of gas. It wasn’t that the slope of the green that mislead my eyes. I broke, I did not want to suffer. My mental toughness let me down. Mentally I simply did not want to be there. I wanted to be back home hanging out with my wife, and my doggies. In the days and weeks after both events I had to face the fact that I failed. I lost confidence in my legs and in my mental toughness. My body gave out on me in both occasion there was no other excuse. The humbling truth to the ultra-endurance world is that at some point your body will fail you, we have to condition ourselves to accept it, learn from the experience and harness it to come back even stronger. It’s you against the miles, no blockers to help, no pitchers release to read and no lie of the grass to get in the way. Jim Walmsley should have confidence in that he was attempting to rewrite history, sure his body failed but he gave it his all. Be strong, if you come up short, learn, and train harder BUT always have confidence in you. This entry was posted in Uncategorized on June 27, 2017 by burk.brian@yahoo.com. I’ve made a ton of great running friends on Social Media. The running community is a great place to gain information about up coming races, make connections with other runners and find inspiration. I enjoy using my little page in the community to introduce other runners to the great people I’ve made connections with. Each person is much more than a Facebook post, a Tweet and/or a picture on Instagram…they are my running family. Today I would like to introduce you to Melinda Howard. Her posts make me laugh, have inspired my running, introduced me to a dog named Paxton and a little boy named Aiden. I don’t remember just where we started following each other, but I have to say I love your sense of humor, impressed with your running and your dog Paxton. Thank you for the compliment…When I see your posts on my timeline it feels like I’m seeing an old friend that has been part of my life forever. I’m glad we met..
Tell us a little about where you came about your sense of humor. MH:I think my love of a silly joke or maybe the need to laugh so I wouldn’t cry, stemmed from some from some unpleasant experiences. Maybe the jokes and kidding were a reaction on my part to stem off unhappiness and/or bitterness? I knew enough to realize that I had a choice. I could choose happiness or choose to be a bitter, angry woman. If I chose the latter, if would eat me alive and that didn’t sound like much fun. I elected to be a happy person! I love the silly pun style jokes the most, tell us about Paxton. MH:Now, Paxton~That dog is a hoot! He’s the first Boxer I’ve owned. I was looking for a dog that had a lot of personality and boy, did I get one! Holy Cow!!! Paxton was a live wire as a puppy and as cute as they come. He grew. And grew. And grew. I think he’s still growing! Maybe not in height but definitely in width. LOL!!! One of the things we discovered about Paxton is he is vain. He loves to wear neckties! How did your running career start? MH: I took my first steps in the C25K program on Labor Day 2011, 4 months before I turned 50 years old. My sister asked me to do the program with her. She wanted to do it but didn’t want to do it by herself. At that time, I had been working on dropping a few pounds. I was a *tad* overweight. I’m 4’11″ and had been tipping the scales at 275lbs. Bear in mind, at the time we started C25K, I had dropped 65-70 lbs already but I was still 100lbs over where I needed to be. Before C25K, I had been doing water aerobics and some weight training. I thought I was in pretty good shape and figured C25K would be a cake walk. WRONG!!! What has been your great accomplishment since getting on this running adventure? MH: Wow, I could think back to races I’ve run. I could tell you about the wonderful and amazing runners I’ve been blessed to meet around the world! I could tell you about getting off 13 medications. I think though, my favorite accomplishment has been the, “Congratulations Sweetie! I’m proud of you!” *accompanied by a hug and kiss* I received from MFH after the Coke 10K this past May. The Coke 10K is, in my opinion, the best 10K in the state of Mississippi. I very dearly love this race!!! The Coke 10k looked like a great race….and you picked up some hardware? MH: This year was my fourth year. I had run 3 years consecutively but missed it last year (2016). #1 Son was graduating from MSU the same day as race day. That being said, I toed the line this year! Such a fun race!!! Each year the Coke 10K selects three local runners and presents them with the “Gold Standard Bearer Award.” The criteria for this award, as the race states it: “Runners who have made significant contributions to physical fitness, either by action or example….ordinary runners who have done extraordinary things.” Somebody, and I still don’t know who, nominated me for that award this year. Holy Cow!!! they selected me to be one of the three people to whom they presented the award! You run for a young fellow named Aiden, could you tell us about him? About 3 years ago, I heard about a program called IRun4Michael. IRun4Michael matches runners with people who physically are unable to run. For whatever reason, they simply cannot get out there and experience the joy of running. You fill out a little questionnaire and then go on a waiting list and wait to be matched with your “buddy”. It’s an incredible program!!! Each buddy has his/her own unique set of medical challenges. When I was matched with Aiden, I had to spend some time on Dr. Google to learn about a few things. Bless his heart but he is a fighter!!! I waited around 8 months to be matched with Aiden. Once I was matched, it was love at first sight. Aiden is the bomb! His parents are awesome, too!!! Aiden and I, we’re the best-est running buddies ever…just ask us!!! We were matched April 9, 2015 and just celebrated our 2 year Matchaversary! A year ago, after Grandma’s Marathon, MFH and I were able to pop by Aiden’s house and meet him and his family. What a great time!!! Aiden needs a buckle from a 100 Miler and I’m determined to get one for him! I notice you travel a good bit for your races, and I believe you’re going after the 6 marathon majors, how far along are you? MH:The 6 Abbott World Marathon Majors, have given me a terrific opportunity to do just that. Thinking back to those first tentative steps in the C25K program, never in my wildest dreams would I (or MFH, for that matter) think that in just a few short years we’d be traveling to Berlin, Germany, or London, England, so I could run a marathon! Kind of wild, isn’t it? Currently, I am half way through the WMM races. I’ve run Chicago, that was my first one, in 2014. When I ran Chicago, I had a concussion so I ran the race staring at the ground. If I looked up, everything would spin and I would tip over. I highly recommend Chicago. I don’t recommend running it with a concussion. In 2015 and 2016, I ran the Berlin Marathon. I loved that race so much, it deserved a repeat! This past April, 2017, I ran the London Marathon. What an amazing race!!! Just WOW! To complete the WMM races, I still have NYC, Boston and Tokyo. I’ll try again (5th try) for NYC through the lottery. Boston? I don’t have a prayer of getting a BQ so that will have to be on a charity bib and probably the same for Tokyo. These are fabulous events and I dearly love running them! Any other running goals out in front of you, seven continents, 50 states? MH: As much as I love marathons, speed is not my friend and I’m not getting any younger. I’ve been shifting my focus towards ultra running. I ran my first 50K in July 2014 and fell in love with ultras! The trails were so much nicer to my body and I love the solitude. That, and people don’t give you a big frowny face if/when you walk! LOL!!! There’s lots of terrific challenges out there, the seven continents, 50 states…I just want to see how far I can run. 100 Miles seems like a good place to start. I’ll be 2 months shy of 56 years old when I run that 100 in December. I get a kick out of knowing I’m one of the oldest women on the trail. Weird, I know, but I love it! What has been your best race and for comparison sake your worst? What went right and wrong in each? MH:I’d have to say my best race was my second 50K. Things were perfect that day! My training and nutrition were spot on. The weather was ideal and I set my 50K PR that day. What an amazing race!!! My worst would have to be my first attempt at the 100Mile distance this past February. The weather was great but that was the only thing that went right. Pretty much everything that could go wrong that day, did. You know how some training runs are horrible? It’s the pits when that happens on race day. Holy Cow, that was an awful race! Do you have a favorite marathon tip? MH: Start slow and then go slower. The race day adrenaline will get you when the gun goes off. Pace yourself! Don’t start out too fast. If you’re patient, in a few miles you’ll be passing the people who zoomed out when the gun went off. The other marathon tip I’d give is to already be registered for another race! Lots of people get the post marathon blues. Your pour your heart and soul into training for a marathon. You’re on cloud nine on race day and for a few days afterwards but then reality comes back. It’s time to go for a run and you don’t know what to do! Your training program for that race is done! You’ve followed if for 16 weeks or so…a piece of paper telling you what to do and now, NADA. I’m always registered for a minimum of two races. As soon as I finish one, I’m all ready to set my sights towards my next exciting running adventure! If Hollywood made a move about your running life….who would play the starting role? MH: The first thing I thought of, what women actors in Hollywood are 4’11″? Hahaha!!! And lastly what words of advice do you have for someone who is thinking about taking up running/walking or a new fitness routine? MH:If a person is thinking about starting running /walking or trying to be more active, instead of thinking about it~Do. It! When I started I was still 100lbs overweight! That’s a LOT of extra weight to be carrying and yes, it DID hurt, but I did it! After a total of 3.5 years, I had lost a total of 170lbs. I’m here to tell you, if I can do it, ANYBODY can do it! Maybe just a walk down your driveway and back to the house. Maybe a walk around the block! After a while, toss in 20-30 seconds of running! Guess what, pretty soon, the running will start getting easier and you’ll do it a little bit longer….before you know it, you’ll have run your first mile and you’ll be doing the Happy Dance!!! You CAN do this! I have faith in you!!! Thank you so much, for taking time out of your busy running adventures to allow us a peak behind the humor, the nutty bars and Paxton lovable face. Please tell my followers where they can keep up with you on the social media outlets. Melinda is a great member of the running community, a outstanding friend and an even better person! I highly recommend following her running adventures….and Paxton to. This entry was posted in Uncategorized on June 12, 2017 by burk.brian@yahoo.com. They live under the bed. They hide in the closets and in the darkest corners of our minds. What scares you? Clowns. Monsters. Jason or is it the undiscovered creature that roams the Northwest, AKA Bigfoot? I’m often asked how do you stay motivated, how do you add some spark to your running routine? It’s simple I run the races and race distances that scare me. Let’s say for the sake of this example that you comfortably and routinely run the half-marathon as your favorite, most frequently ran race distance. To stay motivated, to add a little excitement to your training and race calendar, sign up for a Marathon. Are those half-marathons ran predominately on road courses? Then seek out and find a trail half marathon to add some spice to your calendar. Or conversely, do you run the majority of your half’s on the trails…sign up for a road race. By switching up the surface and terrain you’ll find a new outlook on your training and race preparation. Tired of the Marathon, jump up to an ultra marathon race. There are a number of race distances above the 26.2 mile benchmark to challenge and inspire you. If you do not want to change up the length of your races seek out locations, elevations and terrain challenges that are a bit scary. This unknown portion of the race will help you focus your training, varying your expectations and exercise some running disciplines that you may have overlooked or forgotten about. What race, scares me? It’s a great race, but the JFK 50 Miler scares the crap out of me. It might be the 15+ miles leading to and including the Appalachian Trail section. Or maybe it’s the rapid decent at the Weaverton Cliffs…or the marathon distance on the tow path. No matter what it is this race I love and hide under the blankets at the same time. This entry was posted in Uncategorized on June 6, 2017 by burk.brian@yahoo.com.